We take great pride in our work… and our clients agree! 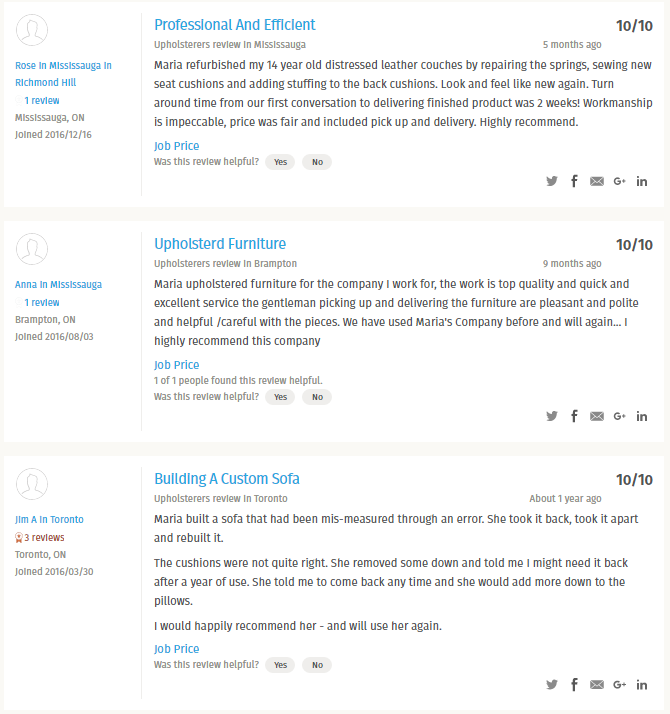 Read why HomeStars rate us 9.7 stars! We are very thankful to all our loyal customers for years of support. Want read more Testiomonials? We’d love you to! Copyright © 2019 Classic Touch Upholstery. Powered by WordPress. Theme: Spacious by ThemeGrill.